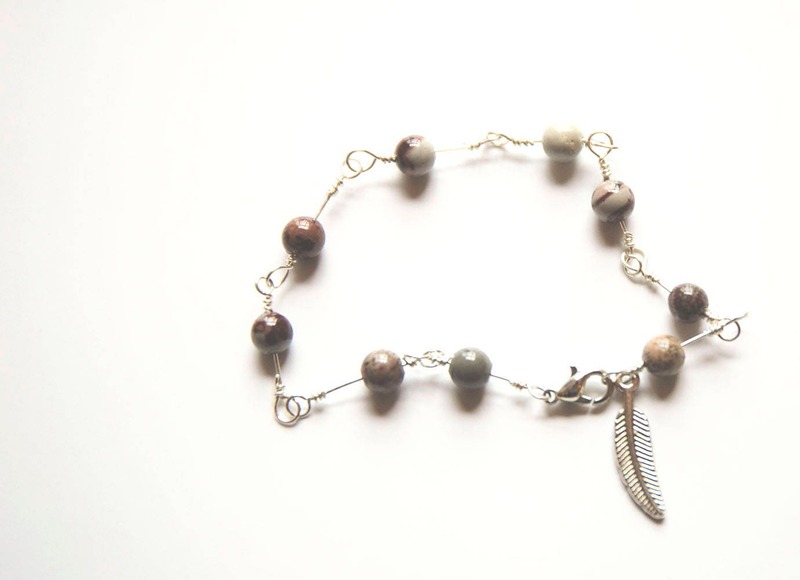 Delicate Sterling Silver bracelet with Coffee Bean Jasper Beads and Feather Charm. 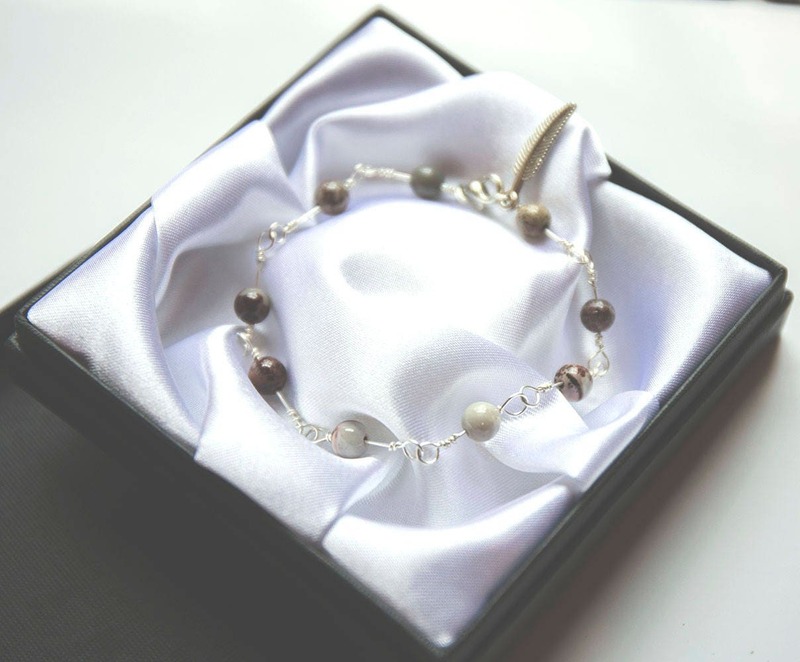 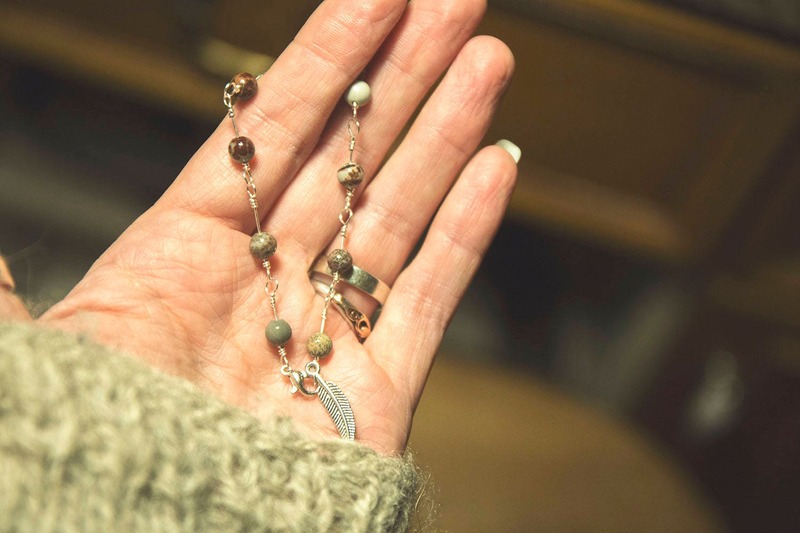 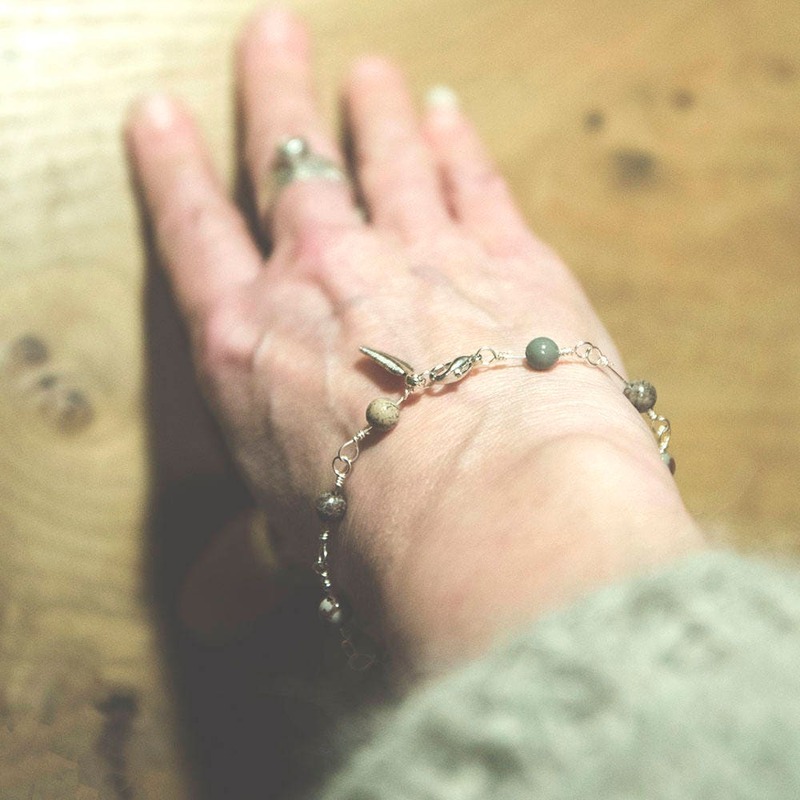 An extremely delicate but robustly made bracelet with the charmingly named coffee bean jasper beads, each one different and chosen to compliment the bead it follows, and each twisted and wrapped by hand onto its own length of sterling silver wire, each length connected to the next. 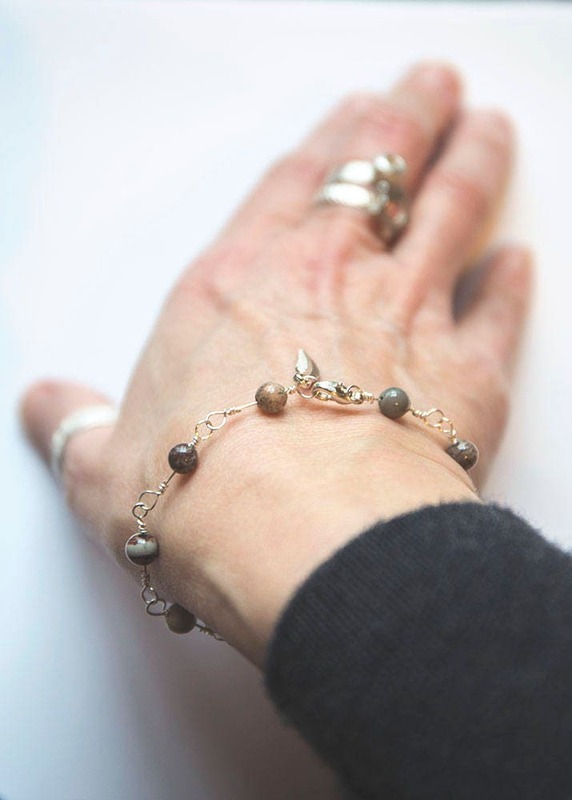 Finished with a lobster claw clasp and a Tibetan silver feather charm.